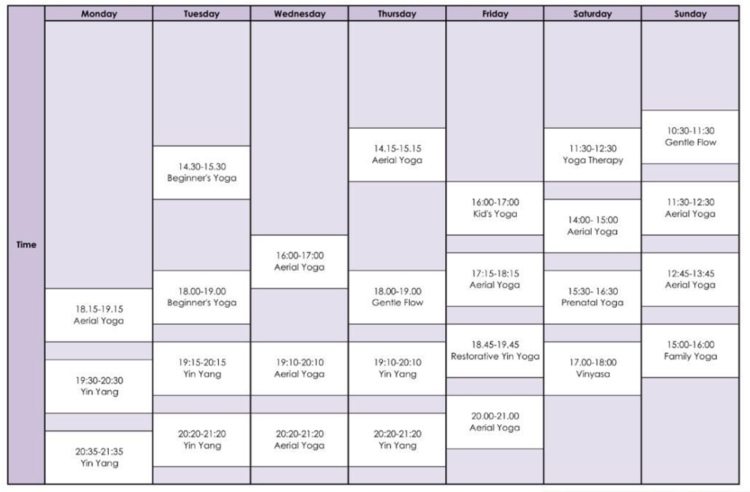 I'm based in Hong Kong and run a studio called Yoga Actually. My yoga journey started in 2008 when I took over a yoga studio membership from my sister. I was at a bleak point in my life where depression consumed me and suicidal thoughts just became as much a “relief” as the depression medication I was on. During that time, I would walk out of my yoga classes refreshed; having created new physical and mental space for positivity, but it was actually because of the saving grace of Jesus that my shackles from depression were broken. Having experienced the benefits of yoga and being a believer of Christ, I was compelled to use my God-given purpose of yoga teaching to give Him glory and connect people into the community through my classes, where people can smell the aroma of Jesus. That was in 2012. In 2017, 5 years into my yoga teaching, I felt led to further my yoga training with Holy Yoga in the U.S. to equip myself with the tools to weave the Word into my Christian yoga classes. From there, I am honoured to be invited to sit as a Foundational Member of Grace x Strength to share and encourage others on their faith journey as Christian Yoga teachers. I'm excited to help more people in Hong Kong and Asia learn about the benefits of yoga and the love of Jesus. WHAT IS THE MOST REWARDING THING BEING A CHRISTIAN YOGA TEACHER? What is the most rewarding thing about being a Christian Yoga Teacher? : For me, being a yoga teacher is as much about community as it is personal growth. When I was invited to be a Foundational Member of GxS, the phrase that attracted me to be part of this movement is 'together is better'. This couldn't be more true. As a depression sufferer who has found Jesus, I know that we are not alone. Truth is that we are so loved by God and are never alone. It is my absolute joy to be sharing this Truth with everyone through my yoga classes! My Christian yoga classes aren't just a class for individual soul-searching. It is a place for community where we gather to share, pray, nourish and grow together. The most rewarding thing is being able to see my students come out replenished - mind and soul, in faith and in life.